On arrival company representatives will receive you at the international airport in Delhi late in the night or midnight. Transfer to your hotel. Relax. Overnight stay at Delhi. 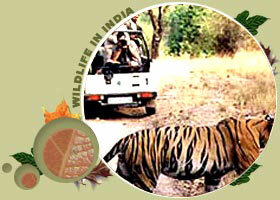 Transfer to the station for train to Sawai Madhopur after breakfast. Reach and transfer to the resort. Evening free at the resort and you can relax or watch some slides on the tiger. Overnight at resort. Early morning RICKSHAW RIDE at the Bird Park. Breakfast at hotel. Proceed to Agra. Reach Agra. Check in at hotel. Overnight will be at Agra. Proceed to visit Taj after breakfast. Enjoy battery van ride to the Taj. Visit Itmadullah's Tomb built by Empress NOOR JEHAN in memory of her father (The interiors of which are considered better than the Taj). Transfer to station for train to UMARIA. Overnight will be on train. Reach UMARIA and transfer to Bandavgarh. Reach and enjoy breakfast. 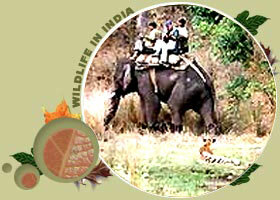 A full day game viewing inside the jungle. (Two safaris). After breakfast drive to Kanha. Reach in the afternoon and relax at the resort. Overnight at the Kanha Resort. Flight to Delhi. Spend day doing last minute shopping and transfer to airport for flight home or to your schedule destinations.